Desiree Ford used a prescription compounded cream containing ketamine and cyclobenzaprine. She sent a text saying that she would take a shower because “this lotion is making me feel weird.” Four days later, she was found dead in her bathtub. An autopsy determined that her death was caused by the toxic effects of ketamine and cyclobenzaprine. Ford’s parents sued Dr. Michael Kelly, who prescribed the medication, and the pharmacy that dispensed it. Pursuant to Texas law, the parents served the defendants with expert reports prepared by a pharmacist, Diane Ginsburg, and by a physician, Dr. Michael Dominguez. The defendants objected to the reports. The trial judge decided that Dr. Dominguez was not qualified to determine the cause of Ford’s death or to opine that the medication caused her death. The judge also determined that Dr. Dominguez’ report failed to explain adequately how the medication contributed to Ford’s death. Under Texas law, a pharmacist cannot testify as to the medical cause of a death, so Dr. Dominguez’ opinion was critical to Ford’s case. The court granted Ford’s parents thirty days to correct the deficiencies in the report. The parents filed a more extensive report that included Dr. Dominguez’ C.V., and later filed an expert report prepared by Dr. Jill Urban. After considering other issues in the case, including the addition of a new defendant, the court overruled all objections to the reports and denied a motion to dismiss the case. 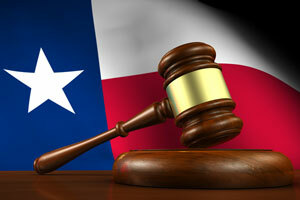 The defendants appealed to the Texas Court of Appeals, which reversed the trial court’s order. the causal relationship between the provider’s negligence and the harm suffered by the patient. allow the trial court to decide whether the lawsuit has merit. A conclusory report does not meet that standard. Rather, the expert must explain any conclusions stated in the report. On the other hand, the report need not state all of the plaintiff’s evidence. Defendants can obtain that evidence in discovery. Reports must be specific in their explanation of how a negligent act caused harm to the patient. Courts cannot rely on inferences to supply missing evidence of causation. The defendants argued that the reports failed to explain why they should have foreseen that prescribing or dispensing the mediation to Ford would have caused her death. Foreseeability in Texas is regarded as an element of proximate cause. Expert reports need not use the word “foreseeability,” but they must make a good faith effort to provide proof of causation. Dr. Urban’s report confirmed that Ford’s death was caused by the toxic effects of the compounded cream. Dr. Urban’s report did not address Dr. Kelly’s departure from the appropriate standard of care, as that was the function of Dr. Dominguez’ report. physicians are required to keep control of their prescription pads and may not provide pre-signed prescriptions to pharmacies. Dr. Dominguez also explained that he is familiar with the pharmacological effects of therapeutic and nontherapeutic doses of the two drugs, and that he is familiar with how toxic drug overdoses cause death. He explained how ketamine (which is primarily used in anesthesia) and cyclobenzaprine (a muscle relaxant) could combine to cause respiratory depression to the point of death. He opined that using the cream caused Ford’s death, and faulted Dr. Kelly for prescribing the cream to a patient who had no need for it and whose history of mental illness and drug abuse made her a poor candidate for following prescribed doses. In Dr. Dominguez’ opinion, Ford’s death was a foreseeable result of having an inappropriate prescription for the compounded cream. even if Dr. Dominguez’ opinions establish “but for” causation, they do not explain why it was foreseeable that Dr. Kelly’s breaches of the standard of care would cause Ford’s death. While many states view foreseeability as an element of duty (that is, everyone has a duty to avoid engaging in conduct that could cause a foreseeable harm to another person), Texas views foreseeability as an element of proximate cause. That view of the law requires plaintiffs to prove not only that negligent conduct caused a harm, but that the negligent actor should have foreseen that result. In Texas, a harm is foreseeable if a person of ordinary intelligence would anticipate the danger created by a negligent act. Foreseeability is usually a jury question. A view of the evidence that is more respectful of a jury’s role in the civil justice system might lead to the conclusion that the likelihood of a mentally ill patient overdosing on a drug that should never have been prescribed to her creates a foreseeable risk of death. Whether or not Ford actually overdosed shouldn’t matter if, in fact, death was a foreseeable consequence of giving the drug to a mentally ill patient and if the patient died because she took the drug. The court of appeals seems to have set an impossible standard for expert witnesses to meet in a case where a jury might reasonably regard a doctor’s negligence as obvious, and where it could reasonably agree with an expert that the patient would still be alive if the doctor had not breached a standard of care. Setting impossible standards for expert opinions is an unfortunate tendency of appellate courts that place the protection of doctors from the consequences of negligent actions above protection of the public. The tendency is particularly unfortunate for the public when judges substitute their own opinions for the well-reasoned opinions of experts.